Although Castleton is just the beginning for her, it has helped push Political Science major Vanessa Robertson closer to her big dreams of law school. When choosing a major, the field of Political Science came naturally for Robertson. Since she can remember, she has always had a flair for politics and a hope to work in the field. “Having this degree will help me keep up to date on a lot of issues that affect lawyers all the time,” she said. Castleton opened up many doors to help Robertson in her pursuit of law school. One of the biggest opportunities included her involvement in a local campaign for nearly six months. “It was a great experience that showed me the hard work that goes into politics, and allowed me to meet with many community members,” Robertson said. While at Castleton, Robertson used her leadership skills to make great strides in various areas where she is passionate. In addition to working several jobs and taking on a full course load, she found time to create the Castleton Political Science Club and has served as a Research Assistant to the Castleton Polling Institute for nearly a year. “I did not really expect to be involved in much at Castleton because I was a commuter, but Castleton University gives students a lot of opportunities, even ones they did not think were possible,” said Robertson, who is also a member of the Castleton cheerleading team and part of two different honor societies. 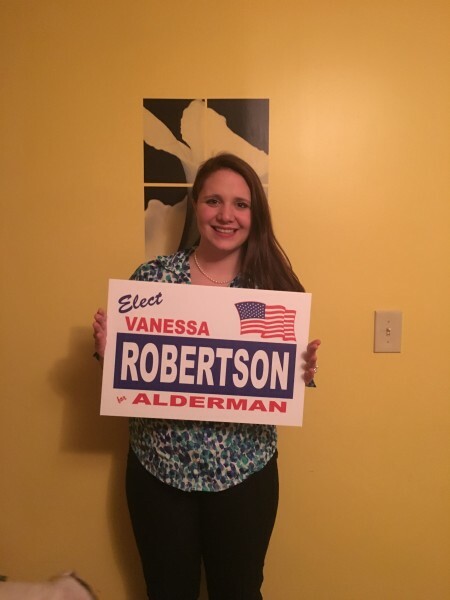 In March of 2016 Robertson made local history as she was elected to the Rutland City Board of Aldermen, a giant step in her political career, becoming the youngest member in history. During her time on the board Robertson hopes to tackle issues such as the local water system, growing business in downtown Rutland and attracting the younger generation to the local area.